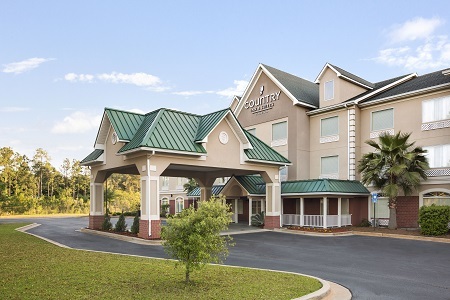 Located just nine miles from Southwest Georgia Regional Airport (ABY) and off U.S. Route 82, the Country Inn & Suites® by Radisson, Albany, GA is a convenient stop for business and leisure travelers. Upon your arrival, visit the Albany Welcome Center to pick up souvenirs and attraction brochures, then head 10 minutes to the downtown area for food and fun. 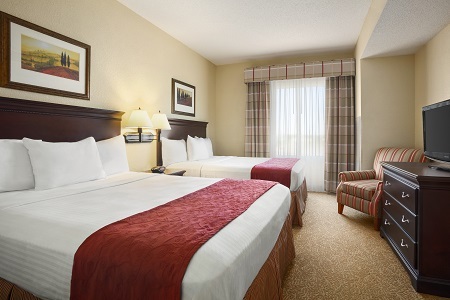 Parents and prospective Albany State University students appreciate being only six miles from campus, while corporate guests enjoy proximity to the Albany Civic Center. On a family vacation? Don’t miss a stop at the Flint RiverQuarium. Thanks to the free, hot breakfast, it’s easy to rise and shine in Albany. We offer a variety of choices, including Belgian waffles, pastries and rotating hot items, so you can choose something different every day. For lunch and dinner, we recommend trying one of the excellent restaurants near the hotel, like the next-door Mellow Mushroom pizzeria or Riverfront 2 Bar-B-Q & Catfish House, a local favorite. Albany State University (ASU) – Located less than 15 minutes from the hotel, this university is home to the Golden Rams. During the American Civil Rights era, ASU students organized the Albany Movement, which was attended by Dr. Martin Luther King, Jr.
Flint RiverQuarium – Housed in a building designed by architect Antoine Predock, the Flint RiverQuarium is a beautiful place to see freshwater and saltwater creatures from across the globe. You can access this kid-friendly gem in just 12 minutes by car. Albany Civil Rights Institute – Learn about the Civil Rights movement in southwest Georgia through interactive exhibits at this 12,315-square-foot museum, located six miles away. You can see the bus that sparked Rosa Parks’ protest and hear activists’ recorded stories in the oral history database. 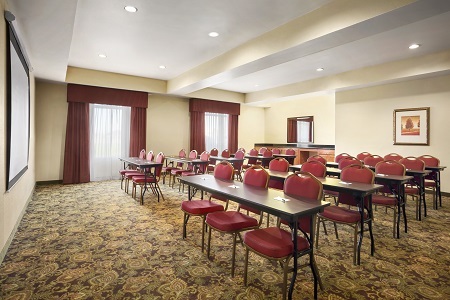 For your next business meeting or private celebration, reserve the meeting space at the Country Inn & Suites. To help keep attendees engaged, show presentations on the projector screen or videos on the flat-screen television. 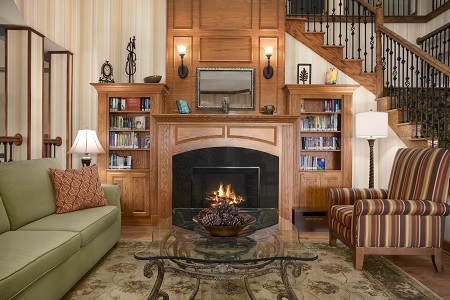 We also offer beverage and snack service, and our professional staff is always on hand to help with the details. Please note: The hotel does not allow pets.